Toledo Radiation Oncology is the largest and longest serving radiation oncology practice in northwest Ohio and southeastern Michigan. Each of our physicians are board certified by the American Board of Radiology. Our founders came to Toledo in the 1970s from Stanford University, the site of many early breakthroughs in radiation oncology and where the first linear accelerator was built. Today, Toledo Radiation Oncology is the largest and longest serving radiation oncology practice in northwest Ohio and southeastern Michigan. 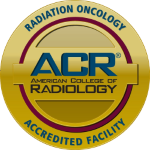 Each of our physicians are board certified by the American Board of Radiology. Our practice has grown in and served this region with radiation oncology services for over half a century. Drs. Gerald Marsa and Steven Zeidner came to Toledo in the mid 1970’s as the area’s first Board Certified Radiation Oncologists, and thus a separate Oncology Division was created within the existing radiology group. The practice steadily grew, and in 2000 the oncologists incorporated as Toledo Radiation Oncology. Toledo Radiation Oncology, Inc. (TRO) is a group of physicians, nurse practitioners, nurses, radiation therapists and support staff specializing in the treatment of cancer patients with radiation. Radiotherapy is needed in managing nearly 2 out of every 3 cancers diagnosed, and is one of the three major cancer treatments (surgery and chemotherapy are the others). There are TRO treatment facilities and clinics throughout northwest Ohio and southeastern Michigan. All radiation oncology services are available, including linear accelerator external beam irradiation, 3-D planning, brachytherapy implants, stereotactic radiosurgery (SRS), stereotactic body radiation therapy (SBRT), tomotherapy, image guided radiation therapy (IGRT), intensity modulated radiotherapy (IMRT), and Radioactive Injections. Today our physicians and staff members take great pride in the care we give our patients, and this is reflected in the favorable reviews they return. Please ask your physicians if you or your loved one are eligible for these new forms of therapy. This advanced system allows us to target tumors which have traditionally been difficult or impossible to treat due to their size, locations, and proximity to critical nearby structures. Watch the video below to learn more about how TRO helps their patients. Toledo Radiation Oncology Corporate and Billing Staff are available during normal business hours by phone. If you have a medical emergency, please dial 911.